New ways of making veggies are always welcomed in my kitchen and this one is a keeper. It’s SO fast and effortless and the results are absolutely delicious. I’ve often roasted broccoli and cauliflower using this method so when I saw this recipe for green beans I knew I had to try it; with a few modifications. Recipes like this make me feel like it’s possible for anyone to get a healthful, balanced meal on the table no matter what kind of day they’ve had…pair this with grilled shrimp or fish and you have yourself a great dinner in less than 20 minutes. Preheat oven to 400. 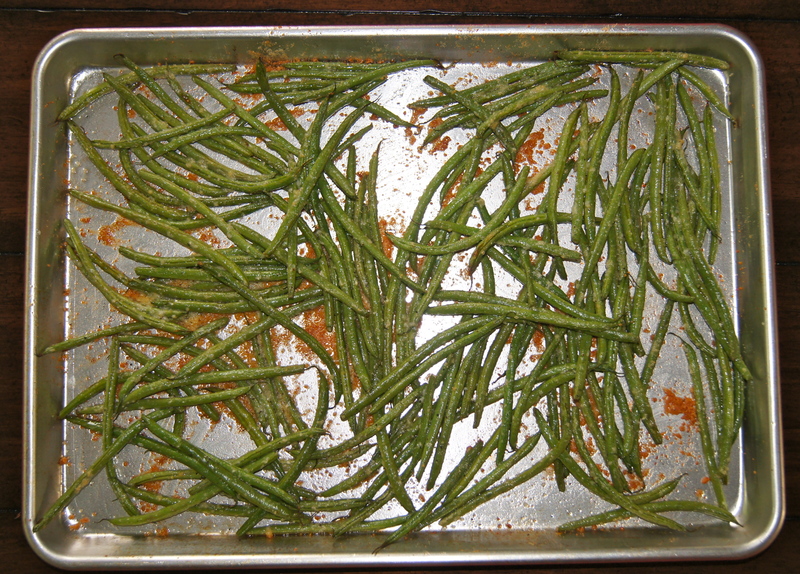 Place green beans on a baking sheet, sprinkle with pepper, drizzle with the olive oil and toss to coat well. Spread the beans out in a single layer and bake for four minutes. Remove from oven, sprinkle with the parmesan, toss to coat and place back in the oven for an additional 8-10 minutes or until a nice crust has formed on the beans. Serves 4.